The current discussion in the US speaks most loudly about fundamental questions of health care coverage and whether health care is a right or a privilege. But the core issues that must be addressed for health reform in the US to be successful also include the ability to improve the quality, safety, and efficiency of the US health care system. And the US must decrease the rate at which its health care costs are increasing, since it cannot sustain the rising percentage of its GDP spent on health care. Entities that currently have large shares of the US health care market are, not surprisingly, protective of the status quo. They form the equivalent of a disease-industrial complex, which serves to reinforce the perverse incentives of paying for transactions related to treating diseases rather than preventing them. The future that many of us envision, and that health reform is meant to achieve, is an emphasis not on health care but health. For health reform to succeed, reimbursement must shift to pay for results or outcomes, rather than volume or procedures, which currently serves to encourage more and more interventions. The model of the future is person-centred and revolves around better health (through prevention), increased self-care (through personal health support), convenient care (through such innovations as telecare and telemonitoring) and coordinated care provided at multiple sites. Health IT is essential to achieving this shift. Figure 1 provides a quick look from birth to death at the variety of events that affect our health, most of which are not health care. About 15% of health has to do with health care and the rest has to do with other things, including lifestyle and genetics and unforeseen events. The problem is that the health care system has really been focused, at least in the US, on the last part, the intervening, which is very expensive, and from a quality of life perspective, not very good. The effort needs to be pushed back much farther to the left towards predicting and avoiding illness and disease. Everybody understands the principle of prevention, but few understand what we need to do to get there. Given how difficult it is to manage information just for the intervention stage, imagine managing the volume of information available from genetics, genomics and proteomics, and lifestyle — which is necessary to predict and avoid illness. Moreover, we need to improve the integration of population health and public health information with provider and personal IT resources. Currently, we feed out data to a variety of government agencies and researchers, but we do not make much effort to bring it back to the point of care or even directly to individuals, where we could act on the information and influence health status. The current lack of information leads to higher costs and avoidable errors. One in seven hospital admissions is due to care providers not having access to previous medical records, 12% of physician orders are not executed as written and 20% of laboratory tests are unnecessary and are requested because results of previous tests are not accessible. Drug errors complicate one in 6.5 hospitalizations and occur in one of every 20 outpatient prescriptions. The resources wasted through lack of access to health information do not go into helping anybody get healthier. These are dollars that could be recouped and used to cover those who are uninsured or under-insured and to moderate the increase in health care costs. We often think of errors in terms of safety, and 98,000 patients die every year in the US from avoidable errors. But for every safety problem, there are multiple quality problems and underutilization of care problems. According to one recent study, Americans receive on average 55% of the evidence-based care they should receive. We saw US government commitment to health IT in President Bush’s nomination, in 2004, of Dr. David Brailer as first National Coordinator for Health IT, followed by my own years in the post and by David Blumenthal’s recent appointment. The commitment to health IT not only survived the recent change in governing parties in the White House but President Obama even spoke about electronic health records (EHR) being an integral part of health reform in his very first week in office. And to raise the commitment to new heights, the Recovery and Reinvestment Act (often just called the “stimulus bill”) allocated billions of dollars towards increasing the adoption of EHRs and exchanging information via a nationwide health information network. There are two components to health IT: first are the applications, such as electronic health records used by the provider and personal health records used by the individual, and second, the technologies necessary to support them — data, technology, and security standards as well as the networks for exchanging electronic health information among them. The current state of EHR adoption in the US is atrocious. Only 13% of providers are now using basic systems, which do not include progress notes or decision support — the features that can help providers give better care and make a difference in the quality of the care. Fully functional systems with those capabilities are used by only 4%. There is a size effect, whereby about 50% of larger practices have already adopted EHRs, putting them in the late majority phase of change adoption. Small practices of fewer than four providers, which deliver more than 50% of care in the US, have an adoption rate of less than 10%, putting them in the early adopter phase. We have not yet crossed over to those who are risk-averse. The situation is worse still in hospitals. Only 7.6% of hospitals have basic systems (meaning one ward with a basic EHR system), and only 1.5% have comprehensive systems that are implemented on all wards and include decision-support. Note that this study did not include EHR use in the Veterans Health Administration (VHA), which would have doubled that 1.5% to 3%, since every VHA hospital has a comprehensive system. If health reform is to contain costs, the health care delivery system must expand beyond traditional health care practitioners to involve new modes and sites of health care delivery and increased use of health care extenders. To coordinate among these multiple sites, information networks will need to connect whole communities as well as other networks such as integrated delivery systems (such as Kaiser Permanente, Cleveland Clinic, and Mayo Clinic) and health banks or personal health record providers. The US public health sector also includes community health centres and a whole variety of government agencies, state and local governments, and private sector laboratories and pharmacies. They all need to be connected so that the information flows in what is referred to as a virtual private network — a secure network for exchanging the information so it goes where it should go, only to those it should go to, and does so securely. Health IT supports improvements in both health care delivery and population health as well as empowering individuals by enabling them to better manage their own health. Information collected by health providers during a patient’s encounter must be able to interoperate with a broad range of health-related information an individual records for their own use, such as tracking their sleep, diet, or physical activity. In the US we have a long history of stovepipe systems, or non-communicating systems, but the way forward involves linking these together. And as alluded to previously, payment reform is a key part of any successful health reform. If we do not change the way we pay for health, it will not be possible to go from paying for volume, which entails more funding, to paying for results. This requires comparing the effectiveness of different types of care so that patients and providers can make informed choices. Cost control is one goal, but fails if done without improving quality at the same time. The Institute of Medicine described six characteristics of quality care (safe, timely, effective, efficient, equitable and patient-centric) and health reform will be embracing this articulation. The US has a few examples of what becomes possible through IT enabled health reform. The largest of these is the Veterans Health Administration (VHA), which is the division within the Department of Veterans Affairs (VA) responsible for providing health care to eligible veterans. VA is a mission-driven organization. The first charge, and it is written on the side of our building, came from Abraham Lincoln: “To care for him who shall have borne the battle, and for his widow, and his orphan.” The modern restatement of this motto in a VHA mission statement is “To honour America’s veterans by providing exceptional health care that improves their health and well being.” The idea that being a public organization means that you are not motivated for change certainly does not describe the VHA. This mission moves VHA forward and tremendous progress has been achieved starting with changes VHA began to make in 1995. VHA has a lot of facilities, even after shutting down half of its beds between 1995 and 1998 as it transformed from an inpatient-oriented system to an outpatient-oriented system. Part of this shift was facilitated by changing rules and laws that impeded outpatient care delivery. For example, VHA providers were prohibited from giving patients a prosthesis (i.e. a pair of glasses) unless they were hospitalized, which meant that VHA had legal barriers to performing outpatient cataract surgery. Those rules were changed, VHA opened many additional clinics and was able to make the transformation away from inpatient care. The VHA EHR, called VistA, is used across the full spectrum of care — hospitals, long-term care facilities and ambulatory care. Each patient has one record that can be accessed by all those involved in his or her care. VistA is a comprehensive system, with built-in clinical reminders based on practice guidelines that aim to reduce negative variations in care. The process of designing a system that works for providers started over 25 years ago, and VHA clinicians formed teams to determine what was needed and how it could be made to fit into their work flow. System design is an iterative process that must involve the front line users. The volume of data added to the system every day is almost beyond imagination. This data is available for VHA to use and learn from. VHA made sure to develop and deploy IT tools for its health care providers that would allow them to improve the quality care they delivered to veterans. VistA also allowed VHA to collect data that could help its leaders and staff to measure, assess and continuously improve care. It is very important that this be done in a non-punitive way. The EHR system VHA deployed uses both graphics to easily summarize large volumes of data and a chart metaphor, because the chart metaphor was what people were using. Physicians are an integral part of VHA leadership and even the front-line physicians can be and have been brought on board with transformation: yes they have to live with the discomfort as changes are implemented, but they can also take ownership of results. VHA leadership did a lot of things under the radar early on. Once you have been able to gain some experience and achieve some success, you can bring it into the open. There is always tension between providers and administrators. 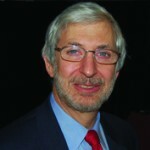 Dr. Ken Kizer, who led early changes at the VHA, was brought in from the outside, but then reached out to the number two selection who was an inside person, a medical center Chief of Staff who had been elected by his peers to lead their national organization, and brought him on as Deputy Under Secretary. That was very helpful in building the trust needed to move forward with major organizational improvements. Other technologies have also been incorporated into care to improve safety and convenience. Bar code medication labels allow for safer administration. The VHA is the largest user of home telehealth in the US. For example, to keep congestive heart failure patients out of the hospital, VHA provides them with a scale, and every day they step up on it and press a button to transmit the information to their case manager, who knows what that patient’s trigger point weight is and can call them in before the patient reaches it. This avoids an ER visit and potential hospitalization for heart failure. VHA has also developed tools to help empower the individual. My HealtheVet is a Personal Health Record (PHR) VHA started developing in 1996 to help individuals better manage their own health. The VHA transformation is really about changing the point of care, about providing convenient care for the individual. This means good quality interactions with a network of providers available at all times. But the information system has to be tightly integrated so that the information moves with the patient. The focus is not technology but rather results, quality, outcomes and contained costs. The VHA has published extensively on results, has won awards for innovation, and was recently singled out by the Congressional Budget Office as an example the nation could learn from. Part of what VHA did was to decentralize management and hold unit leaders accountable for outcomes: not how they did it, but what they achieved. Each Veterans Integrated System Network (VISN) is a laboratory generating data that enables VHA leadership (which includes the VISN leaders themselves) to compare, learn and hold each other accountable on performance measures. Bonuses for leaders, managers, and front line providers are dependent on their performance. For example, VHA wanted to implement widespread use of computerized provider order entry across the VHA (Figure 2). The baseline data showed a wide variation, from 94% down to 37% in each of those regions, in the percent of orders that were entered directly by providers. 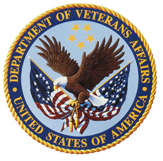 Each year, the percentage of orders entered by providers increased across VHA and within most VISNs, because the performance measure was set at the 15th percentile for next year; if 15% of VISNs could achieve a level, that became the national baseline for the following year and bonuses were tied to achieving that level. This process was repeated year after year after year until the variation across VISNs almost disappeared. Many people say you cannot increase quality, increase patient satisfaction and lower costs at once. VHA actually decreased the number of providers and staff initially, increased satisfaction, increased quality and decreased or contained cost. Being innovative, there are times when you can move forward very rapidly. Figure 3 shows the cost over a number of years at one VHA medical centre. In the green, we see their cost remained almost level, while medicare cost (US public cost) and the US consumer price index for medical care rose considerably. VHA’s complete adoption of electronic health records and performance measures has resulted in high-quality, low-cost health care with high patient satisfaction. A recent RAND study found that VHA outperforms all other sectors of American health care across a spectrum of 294 measures of quality in disease prevention and treatment (Table 1). And for six straight years, VHA has led private-sector health care in the independent American Customer Satisfaction Index. The VHA can have a major impact on broader health transformation in the US. Half of the health care providers in the US going through training and 60% of the doctors (some 90,000 students and house staff a year) spend time in the VHA system as part of their training, which means that this young population has at least one part of their experience where they have used effective, well-accepted EHRs and seen their benefits. However, in much of US health care, there is a misalignment of incentives. The kind of changes made at the VHA will not become widespread as long as volume is the basis for reward. The VHA was able to change more quickly because it benefited as the payer as well as the provider, and could change the internal incentives. Understanding transformation requires thinking beyond the usual tipping point, which was probably passed last year in the US with regard to health IT. There is a lag between when people know they will do something and when they actually achieve it. But most important to remember is that there is another lag between adoption and the time when people are comfortable enough with a new process or technology to be able to use it to achieve transformational changes. When VHA made tools available to staff at VHA medical facilities, these staff (including health care providers) did amazing things on their own with these tools, implementing new capabilities that neither the leaders nor software developers had ever imagined. In order to understand the magnitude of change that health IT can enable, it is helpful to think back to when the World Wide Web came online. When I first came home with a computer to show my mother “the Web,” I connected it into a phone line and clicked on the White House site, which had just come online and was graphic intensive. When the White House webpage finally appeared on the screen 10 minutes later, my mother said, “What is this? And why are you so excited about it?” We had an inkling back then that the web was going to bring exciting changes, but we could not have foreseen its scope and direction — the degree of information access, the changes in the way we research, trade, or buy products, the disruption of the retail marketplace, or the interactions and creativity it has fostered. That is the magnitude of change that having an effective, pervasive health IT infrastructure for personal, provider, and population health information might enable. Clayton Christensen, a professor at Harvard Business School, has written about disruptive innovation in general and in health care. He notes the difficulty those who are in charge of the current health care system have in embracing the kinds of changes that will be needed. They know some of the changes that are needed but do not embrace the really disruptive ones. We saw, at the VHA, the experimentation, risks and mistakes that are an essential part of moving forward. And we saw how politically difficult and professionally costly these can be. Christensen’s prediction is that, as in almost all markets he has studied, it will be outside agents who produce the real changes and take on the risks involved in innovation. As Larry Wilson noted in his book, we are faced, today, with the option of either learning the rules, roles and distribution of rewards in this new game, or continuing to practice our present skills and becoming the best at a game that is no longer being played. This may be what we are facing as clinicians if we do not understand and embrace the transformational changes that are coming up. Mission: To honour America’s veterans by providing exceptional health care that improves their health and well being. 7.8 million enrollees. Five-and-a-half million patients are treated annually, with 62.3 million outpatient visits and 589,000 admissions. The VHA population is older (49% over 65 years of age), and is sicker and poorer (70% with annual incomes under $US 26,000 and 40% with annual incomes under $US 16,000 a year) than age-matched comparators. These are people that private insurers do not want to touch. The VHA has a central $40 billion a year budget, with most funds being distributed among 21 sub units or Veterans Integrated Systems Networks (VISNs), with budgets in the $2-3 billion range. In 1995, VHA restructured into these VISNs — units that followed the patients. Sometimes, states were split among different VISNs, such as West Virginia that was divided among three VISNs consistent with long-standing patient flow patterns due to mountain chains running through the state.